Put Lucid Puppy on a USB Flash Drive in Windows. In the following section I will show you one way to put Lucid Puppy "Lupu" on a USB Flash Drive from within Windows by using our Universal USB Installer. 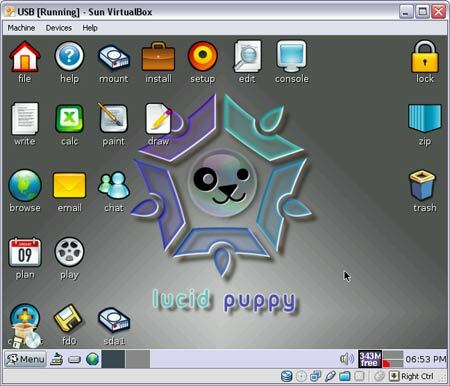 Lucid Puppy, coordinated by Barry Kauler is made from a combination of Woof and Canonical's Ubuntu Lucid Lynx release. Although cram packed with popular features, this Linux distribution remains small, weighing in at only 128MB. If all went well, you should be booting from your Lucid Puppy USB. You will be prompted to create a persistent file for saving your session data on shutdown. Just be sure to choose your USB device when prompted.